Time: 10:00 a.m. – 5:00 to 5:30 p.m. WELCOME TO THE TREYBIG FAMILY SITE! 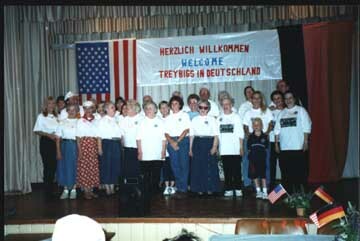 The Nicolaus Treybig Family was one of the early German immigrant families in Texas. They endured enormous hardship in search of economic, social, and political freedoms. With time, the family has prospered, and today, they are scattered all over the world! Make yourself at home. Browse the history pages, check the picture album, and by all means contribute to this site. This is our page--for all the descendants!